With Tashi now eating a lot more foods, I have been thinking about making some yummy dishes that are wholesome with protein, vegetable and carbs all in one. This is one for the Tashi aka todler-friendly specials! 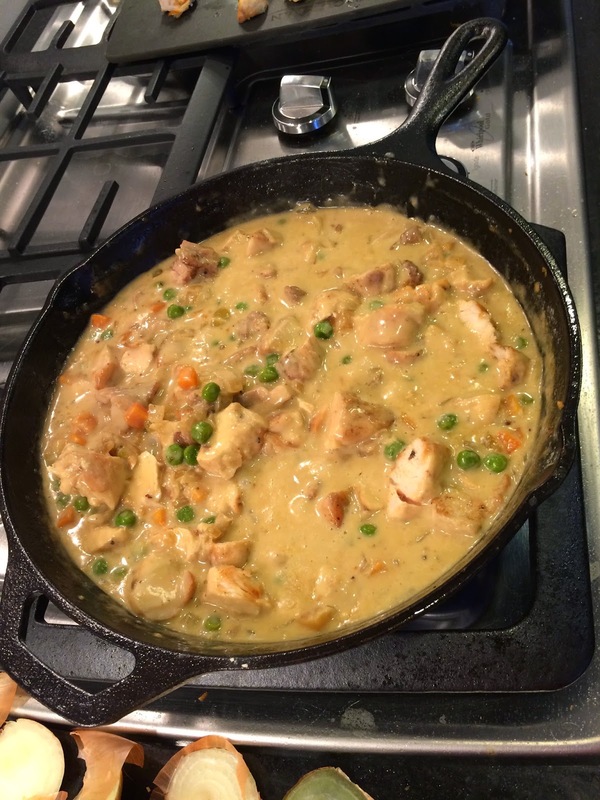 One such comforting dish is the chicken pot pie. So I looked around for the recipe that liked best. I was attracted to this one recipe (courtesy Sunny Andersen, food network) because it used the cast iron skillet. Im sure it would also be good in a a glass baking dish. 2) Sprinkle the chicken tenders with paprika, sage, oregano, salt and pepper. 3) Heat a 10-inch cast-iron pan over medium-high heat and add the olive oil. Sear the chicken to brown -- about 4 minutes on the first side and 3 minutes on the second side. Remove the chicken and set aside for a few minutes. Chop into 1/2-inch cubes. 4) To the same pan, add the garlic and sautee for a few minutes till fragrant. Then add the onions and peas and carrots and sprinkle with salt and pepper. Stir and cook until the onions become tender, 3 to 5 minutes. 5) Sprinkle in the flour and stir until the flour dissolves into the vegetables and juices. Add the chicken stock and raise to a simmer, stirring until thickened. Once the liquid has thickened, stir in the heavy cream. Season with salt, if needed. 6) Return the chicken to the pan. 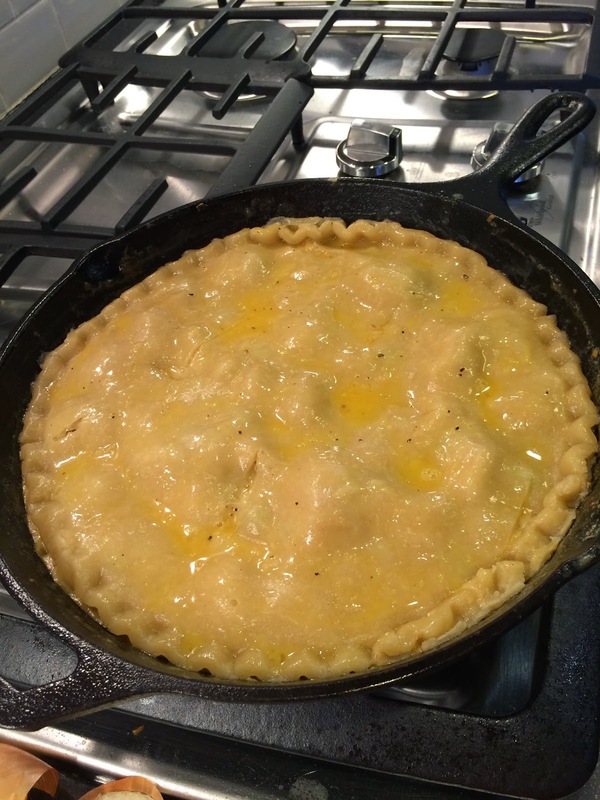 Unfold the pie crust and place over the top of the filling, tucking the excess edges inside the pan. 7) Brush the crust evenly with the egg wash. Using a knife, gently cut 3 vents in the top of the crust. Place in the oven and bake until the crust is golden brown, about 20 minutes. It is just delicious and worth repeating!